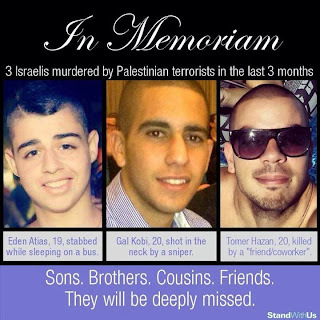 3 innocent boys murdered by 3 individuals who were taught hate from day one. We need to fix this problem because. In other words do not negotiate with terrorists. Stop freeing murderers. Build on the West Bank. This land is our land.